I don’t consider this list to be definitive, there are of course scores of other interesting actors who may turn out to be far more interesting than the individuals mentioned below. For now though, here is a list of six people whose career paths are following the most interesting trajectory. He’s not the most talented, nuanced of actors, but I’ve been a fan of the Austrian Oak’s iconic persona since I was a child. Schwarzenegger deprived fans for 8 years during his incredulous tenure as Governor of California, and he downright teased us in 2010 with his brief cameo in ‘The Expendables’. 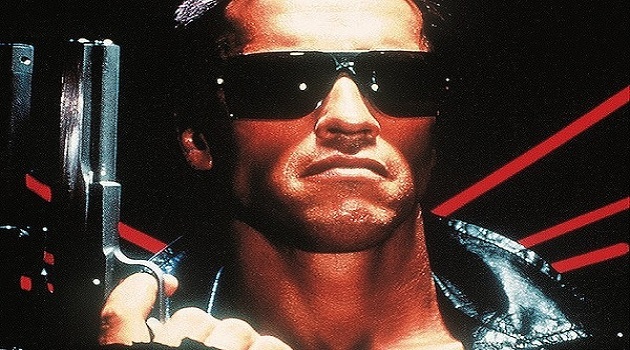 However, he is no longer the Governator, he has returned to his second career, the one that made him most famous. He’s already starred in ‘The Last Stand’ (2013), a film that annoyingly I haven’t been able to see yet. However it was great seeing him in last year’s ‘The Expendables 2’ which was, to quote Patrick Bateman, a ‘laugh riot’. I’m always up for a slice of Arnie cheese, and I’m sure ‘The Tomb’, ‘The Expendables 3’ and perhaps even ‘The Terminator 5’ will be entertaining, however I’m not sure how the latter will work out. Fassbender has proved his worth in small independent films such as ‘Fish Tank’ (2009) and ‘Shame’ (2011) and big-budget blockbusters like ‘Inglourious Basterds’ (2009) and ‘Prometheus’ (2012). With films like ‘The Counselor’, ‘Jane Got a Gun’ and ‘Prometheus 2’ in his upcoming canon, the affable Fassbender seems to be forging a career that is both critically and commercially successful. It’s remarkable to think that a man who starred in the worst film ever made, The Notebook, could appear on this list. Since the offence in 2004, Gosling starred in films such as Half Nelson (2006) and Blue Valentine (2010). He didn’t truly come to my attention until 2011, when he assumed the role of ‘The Driver’ in Nicolas Winding Refn’s Drive. His performance, like the film, wasn’t the most layered, but he certainly excelled in producing a steely aura and being just so incredibly cool. 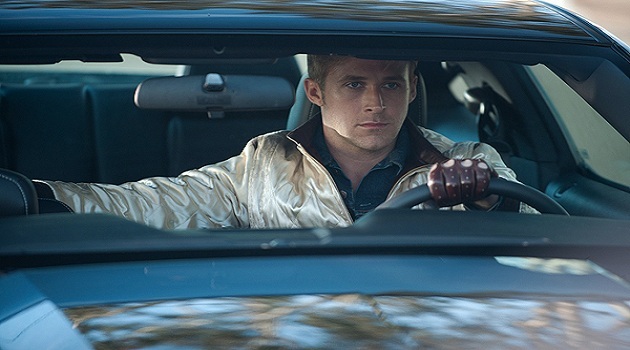 The great thing about Drive was that it signalled Gosling’s encroachment onto the edgy, independent area of cinema. It was also hopefully going to be the first instalment in a cinematic collaboration between him and Danish director Refn. Those hopes were confirmed when images of Only God Forgives surfaced, showing Gosling with a badly beaten up face. He’s by no means a new kid on the block, quite the contrary, he’s becoming a rather venerable member of Hollywood. 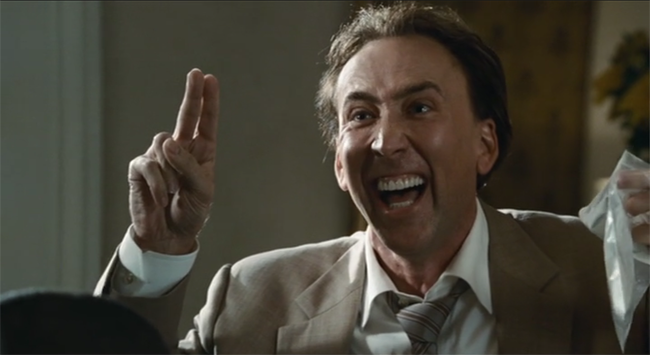 Since his emergence in the mid to late eighties, Nic Cage has appeared in approximately two million films. Some may be surprised by his inclusion, his role decisions are becoming increasingly questionable, but I really like Cage, he’s idiosyncratic in more ways than one. Firstly, as Mark Kermode once rather rudely pointed out, he certainly doesn’t have leading man looks, and his hair is very, very strange. He is also famously capable of delivering unhinged performances, performances which can only be described as ‘Cagesque’. Among the finest examples in the ‘Cagesque’ oeuvre are ‘Vampire’s Kiss’ (1988), ‘Bad Lieutenant’ (2010), ‘Deadfall’ (1993), ‘Face/Off’ (1997) and ‘Matchstick Men’ (2003). It’s this combination of unconventional looks and persona that make him a favourite of mine. Of course, Cage can also deliver more balanced, subtle performances if a director manages to tame him, as demonstrated in ‘Leaving Las Vegas’ (1995) and ‘Adaptation.’ (2002). Because of the sheer personality of the man, I’m always on the look-out for updates on his career – I was utterly delighted to hear that he will be appearing in ‘The Expendables 3′. 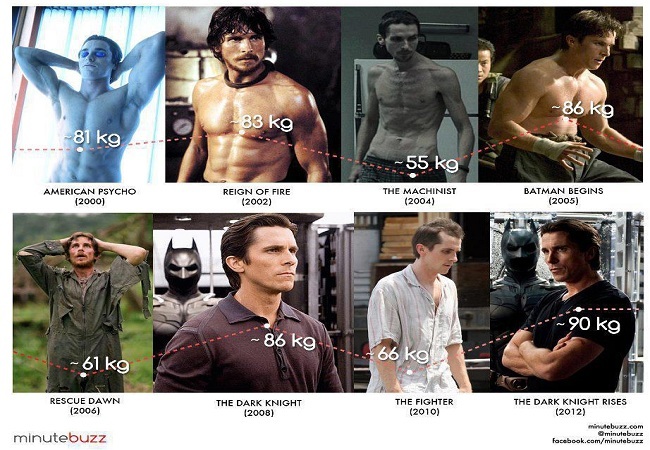 Christian Bale is the undisputed king of ‘weight acting’. His performance as Patrick Bateman in American Psycho (2000) is one of my all time favourites, and his roles in ‘The Machinist’ and ‘The Fighter’ show how he’s a truly committed actor. Now that the vastly overrated Batman trilogy has ended, Bale can leave the boring character of Bruce Wayne and build on an already impressive portfolio. His appearance in ‘Untitled Terrance Malick Production’, which co-stars Ryan Gosling, Michael Fassbender and Rooney Mara is a step in the right direction. Bale will be offered the best scripts in Hollywood; we’ll probably find him in the Best Leading Actor category at an Oscars ceremony in the very near future. Matthew McConaughey’s films have been famously commercially-minded for the past decade or so, with films such as ‘The Wedding Planner’, ‘Sahara’, ‘Ghosts of Girlfriends Past’ and ‘How to Loose a Guy in 10 Days’. This career move is understandable, the man has amassed a fortune from these films, however he has lost a damning amount of credibility in the process. Not anymore though, over the past few years he has shown what he’s capable of in films such as ‘The Lincoln Lawyer’, ‘Bernie’, ‘Magic Mike’ and ‘Killer Joe’, which for my money is the best film of 2012. I fawned endlessly over his performance in my review of ‘Killer Joe’, and for good reason, he doesn’t just break his typecast, he shatters it. It’s one of the most menacing performances I’ve seen in years. It seems this upward trajectory isn’t slowing either, with McConaughey going all method actor and losing massive amounts of weight for his leading role in the upcoming ‘The Dallas Buyer’s Club’. Other roles include ‘Mud’ and Scorsese’s ‘The Wolf of Wall Street’. I’m all for this, but I can’t help imagining this rapid ascension has left McConaughey feeling rather smug, he’s gone from a mere rich heartthrob to a rich, critically respected heartthrob!